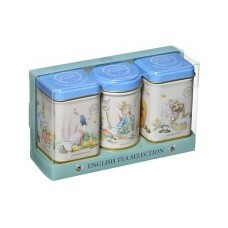 Get lost in the wonderful world of Peter Rabbit with this dainty English Tea Selection Gift Box. Peter Rabbit, along with his friends Jemima Puddle Duck & Mrs Tiggy Winkle, play host to 3 classic tea blends: English Breakfast, Earl Grey and British Afternoon Tea. A lovely keepsake gift for any occasion throughout the year. ONLY 2 LEFT! 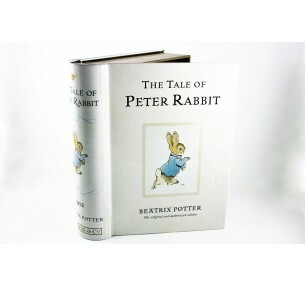 The Peter Rabbit Book Tin is a unique gift to give this Easter. Open up the boo..